The Awfully Fast, Awfully Fun Card Game! 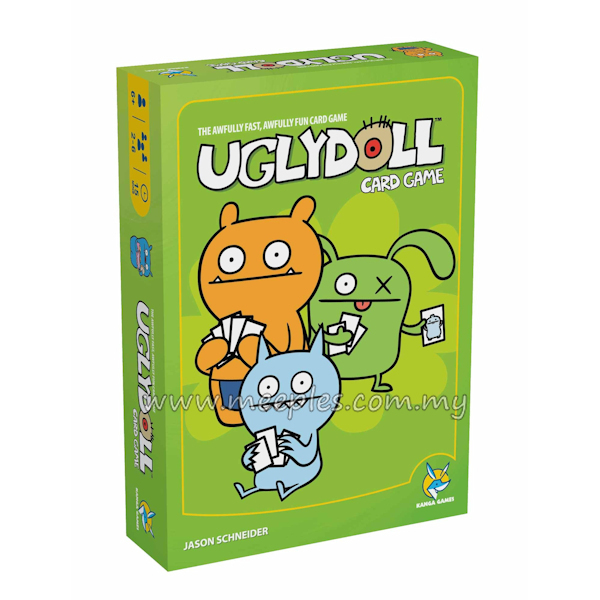 Join OX, Wage and the rest of the Uglydolls in their first ever fast-action card game. Turn over cards until you spot three matching Uglys. Then race like an Ice-Bat out of Heck to grab a match before they all get snatched. Claim the most cards and you claim the game. Winning isn't always pretty, but it's always fun!